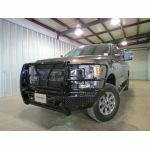 Steel Craft Elevation full front bumper with grille guard. It is finished in textured black powder coat. It is built out of 10 Gauge steel. 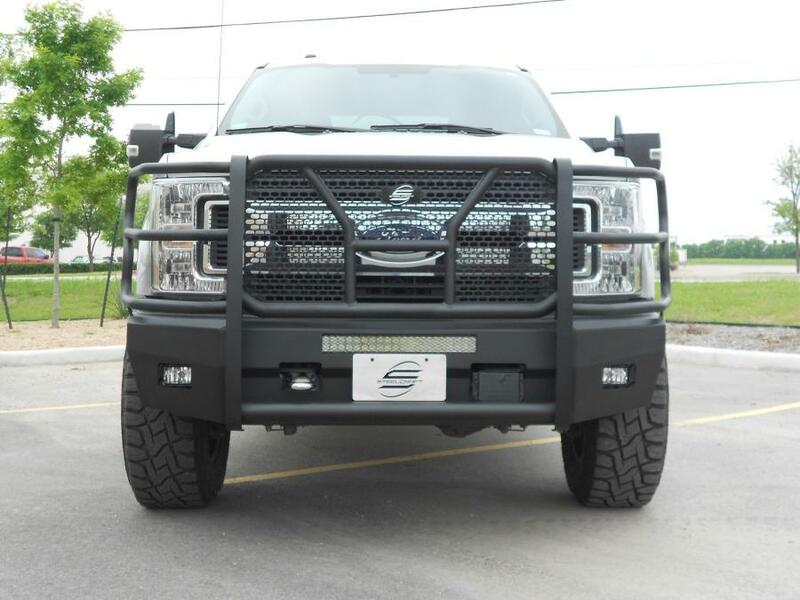 It really gives your truck the heavy duty protection, along with that sporty off road 4x4 look. This bumper is bolt -on, and requires no drilling to install. It is built to accommodate the factory fog lights & tow hooks. 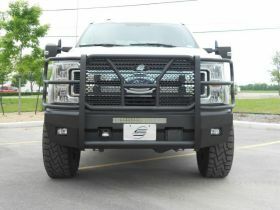 It is pictured with a 20" light bar mounted in it. 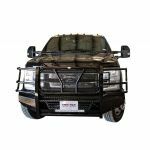 Although not included, it will accommodate a 20" double row light bar, but not all 20" light bars will work without modification. The distance between the brackets is 22 1/2". If you are not planning on installing a light bar, the hole is covered with wire mesh. It also comes with the mounting hardware. It will NOT accommodate winch. This bumper will NOT work with the adaptive cruise control module. A bracket would have to be custom made by the new owner to make it work. This bumper also does not have a hole for the front camera.